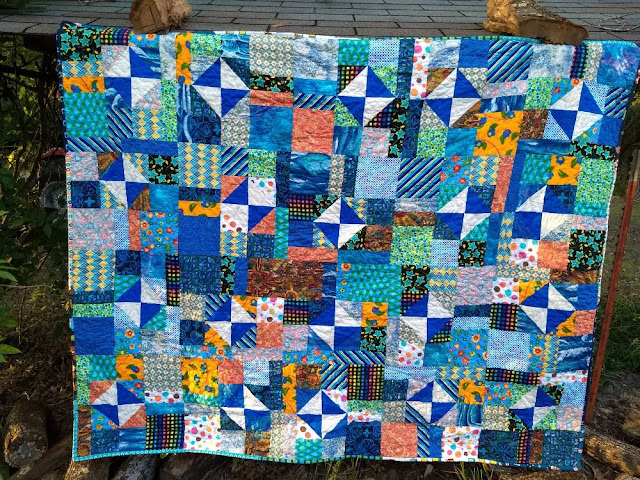 PSA: If you need my address to send blocks for Covered in Love please email CoveredinLoveTx@gmail.com. Or if you want me to contact you please leave you email address in your comment. Many of you are "no-reply" bloggers and I cannot respond to your comments. Thanks! Three blue quilts for Covered in Love this week. Holly sent in this large, fun quilt top and backing. It's something like 80"x60" so it will be perfect for covering a grieving family. 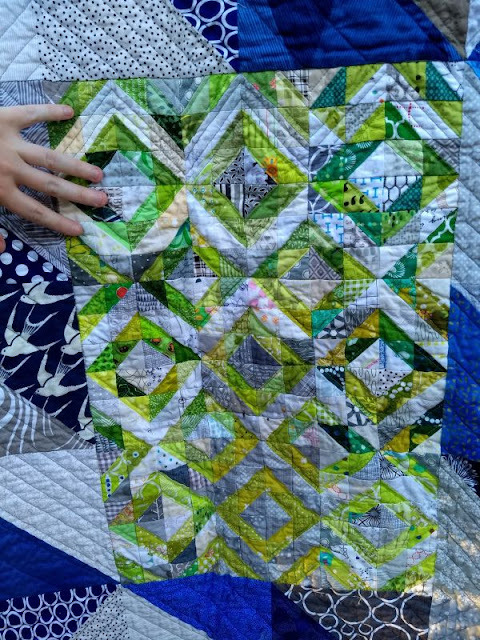 Next, Louise sent in this finished quilt which was made sewing-bee style by my do. 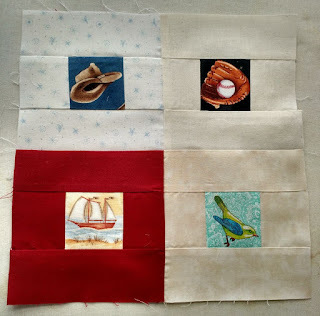 Good Stitches circle. 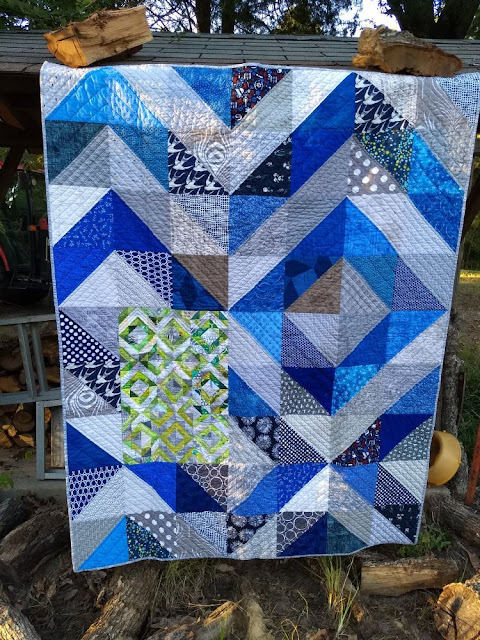 This quilt used up some tiny bonus triangles from a previous block we did. PS- Kitten update. Everyone is doing great! They just turned 5 weeks and we are officially weaned off the bottle (hallelujah!). Here are Waffles and Fudge doing what brothers do. 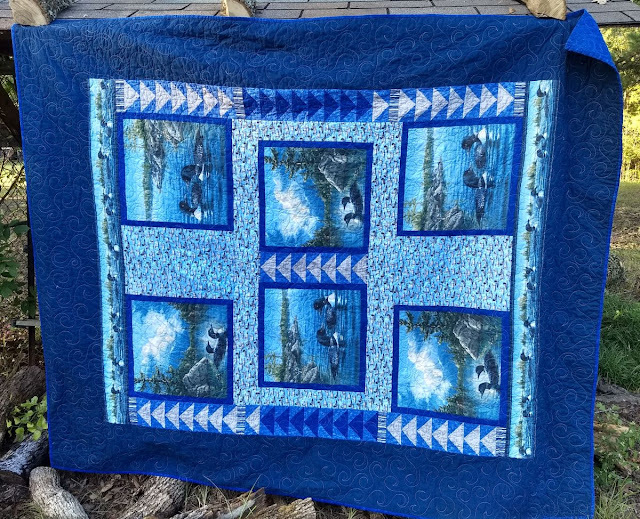 Beautiful quilts for grieving families. They will surely bring warmth & comfort. Looks like Waffles & Fudge are having the time of their life at their new home. They look fat & happy & full of energy. Thanks for keeping us updated on their progress. Waffles & Fudge are such great names for your thriving little kittens. 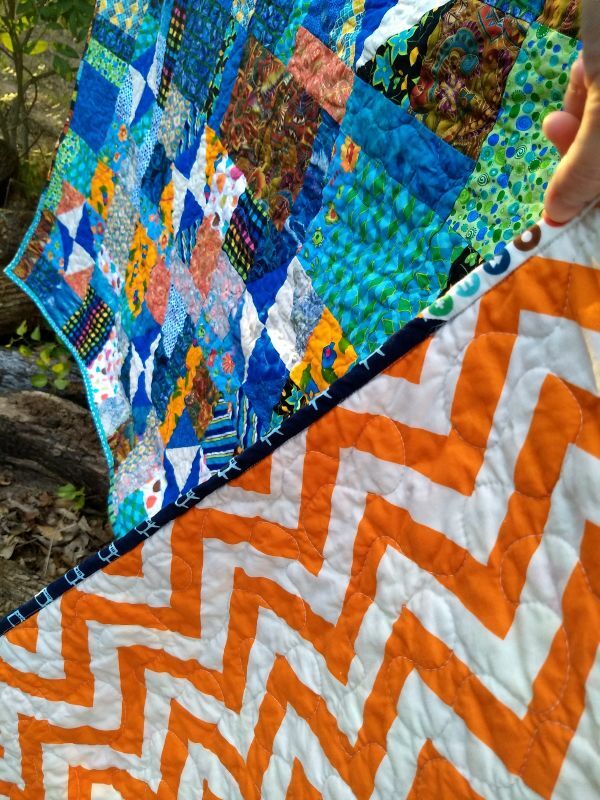 I love these quilts and with so many beauties, I can only imagine the tough task it must be to pick the right one for a particular family. 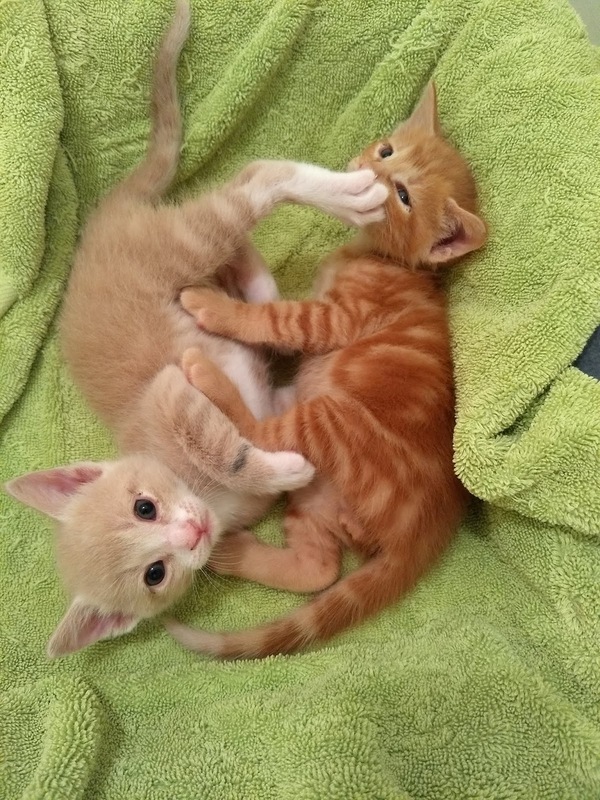 Waffles and Fudge are adorable! Some colorful, fun and generous quilting going on here!!! As always, truly inspirational! Glad the kittens are doing so well! I wish I was in a position to have a couple. I’ll have to make do with my grandkitties. Oh my, some lovely quilts indeed! I'm sure they will all be realy loved.